In January of this year, the first subject checked into the metabolic ward at the National Institutes of Health in Bethesda, Maryland, to participate in one of the most rigorous dietary studies ever devised. For eight weeks, he was forbidden to leave. He spent two days of each week inside tiny airtight rooms known as metabolic chambers, where scientists determined precisely how many calories he was burning by measuring changes in oxygen and carbon dioxide in the air. He received meals through vacuum-sealed portholes so that the researchers’ breath wouldn’t interfere with their measurements. The food itself had been chemically analyzed to ensure an exact number of carbohydrate, protein, and fat calories. The two-day stays in the chambers were only a small part of the testing, which was also being carried out on subjects at three other institutions around the US. Twice a month, the subjects were required to lie down for dual-energy x-ray absorpti­ometry scans, an accurate way to measure body fat. They offered up their veins again and again so that scientists could measure their lipids and hormone levels. They provided samples of their stools so the researchers could record the different colonies of bacteria residing in their guts…. [T]he studies are intended as steps toward an audacious goal: cutting the prevalence of obesity in the US by more than half—and the prevalence of diabetes by 75 percent—in less than 15 years…. But in recent years, competing theories have suggested other culprits. A growing number of doctors and advocates now see decades of increased consumption of table sugar and other refined carbohydrates as the most likely explanation for our current epidemics. Robert Lustig, a pediatric endocrinologist, rose to national fame after a 2009 lecture in which he called sugar “poison” went viral on YouTube. (Lustig had a chance to repeat his case against sugar in the 2014 Katie Couric-produced documentary Fed Up.)…. For instance, much of what we think we know about nutrition is based on observational studies, a mainstay of major research initiatives like the Nurses’ Health Study, which followed more than 120,000 women across the US for three decades. Such studies look for associations between the foods that subjects claim to eat and the diseases they later develop. The problem, as Taubes sees it, is that observational studies may show a link between a food or nutrient and a disease but tell us nothing about whether the food or nutrient is actually causing the disease. It’s a classic blunder of confusing correlation with causation—and failing to test conclusions with controlled experiments. … Taubes knew almost nothing about the topic. He would end up spending the next nine months interviewing 80 researchers, clinicians, and administrators. That research resulted in an August 1998 article headlined “The (Political) Science of Salt.” It was a sweeping takedown of everything scientists thought they had established about the link between salt consumption and blood pressure. The belief that too much salt was the cause of hypertension wasn’t based on careful experiments, Taubes wrote, but primarily on observations of the diets of populations with less hypertension. The scientists and health professionals railing against salt didn’t seem to notice or care that the diets of those populations might differ in a dozen ways from the diets of populations with more hypertension. Taubes began to wonder if his critique applied beyond salt, to the rest of nutrition science. After all, one of the researchers Taubes interviewed had taken credit not only for getting Americans to eat less salt but also for getting them to eat less fat and eggs…. Under the cover line “What if Fat Doesn’t Make You Fat?” Taubes made the case that we get fat not because we ignore the advice of the medical establishment but because we follow it. He argued that carbohydrates, not fat, were more likely to be the cause of the obesity epidemic. The piece was a sensation. “Gary Taubes is ruining my life!” one NYU professor of nutrition, Marion Nestle, complained to Popular Science at the time. “I can’t go anywhere without someone asking about that damn article.” … The Times article led to a $700,000 deal for what would become Good Calories, Bad Calories, and Taubes spent the next five years plowing through late-19th- and 20th-century nutrition research. In doing so, he found himself drawn to an even more radical theory, the so-called alternative hypothesis, which holds that we get fat not because we eat too many calories but because specific kinds of calories trigger hormones that regulate how our fat cells behave. In particular, eating refined carbohydrates, and especially sugar, on a sustained basis leads to chronically elevated insulin levels. Among its many other crucial functions in the body, insulin tells fat cells to take up glucose, which is converted into fat, and then keeps fat from all sources locked inside. 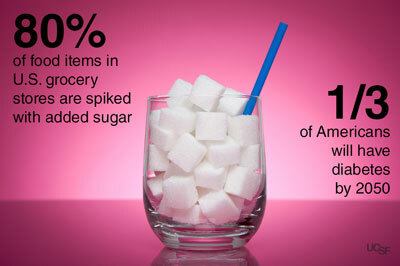 Therefore: Consume a bunch of sugar every day, as most Americans do, and you’ll get fat. Of course, Taubes could only present the hypothesis. He couldn’t prove any of it. The right experiments had never been done…. At age 35, Attia weighed 205 pounds, 45 more than he did in high school. Alarmingly, his blood work suggested he was on the path to heart disease. Fearing for his future and out of conventional options, in late 2009 Attia began eliminating more and more carbs from his diet while adding more and more dietary fat. Over the next two years, his waist shrank from 36 to 31 inches. His triglycerides, an indicator of cardiovascular risk, dropped from 154 to 22. His HDL (the so-called good cholesterol) rose from 31 to 85 even as his LDL (the arguably bad cholesterol) dropped from 113 to 59. This is also my story: despite years of long-distance running and weightlifting, I still was a bit pudgy. When I eliminated most carbs from my diet (cutting way back on bread, rice, and sugars) I reduced my body fat percentage to less than 10% and my triglycerides dropped into the heart-safe zone.